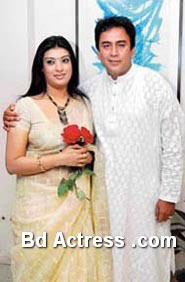 Bangladesh model Mou is a one time famous television well-liked model. Bd model Mou was very popular after Keya advertisement product model. She is married. Her husband name is Jahid Hassain. Recently Mou is acting Poush fagun ar mela small screen drama. Her husband also involves this drama. This drama Mou character name is Golapi. Mou know dance from childhood. Her note able model work is Keya soap, Keya lip gel etc. She is now middle age model. Her full name is Sadia Islam Mou. Modeling work time she marriage then she absent long time in modeling. Recently Mou involve model with a milk product. Now she is busy with television drama. Mou modeling performance is really expert. Bangladeshi actress Mou is very careful about her acting and modeling. After some days people will watch her news model soon.